Bandai VF-25 preview | FULL MOE PANIC!!! ← Rider Modest Maid ver. Pic is related to the post.. but just only…. From the Shizuoka Hobby Show. Bricks were rained when i saw this masterpiece. 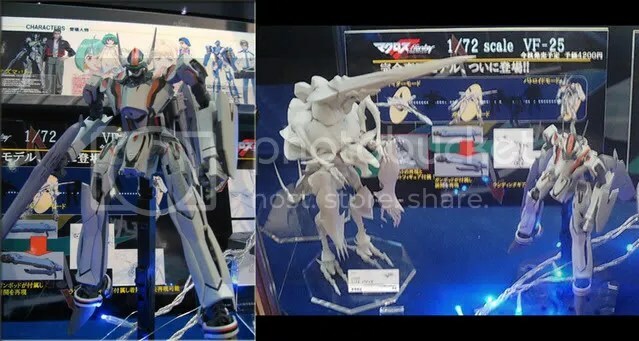 Its just that beautiful i cant wait to get my hands on the VF-25 now. I do wonder though if it comes with the Super pack or do we need to get another model for it?? Word on the street is that this is going to be a Chogokin series and not the usual kit which means it will be come built and it uses metal parts instead of plastic ones. source: DC.com with thanks to Marvin. 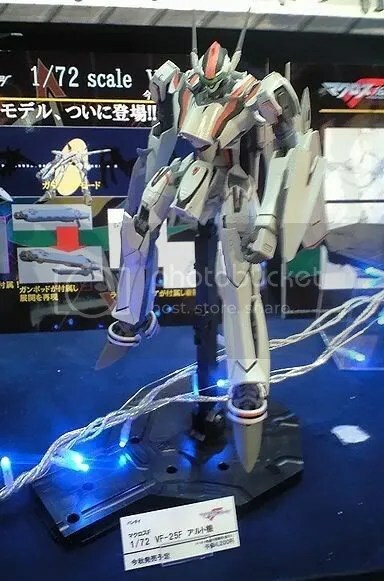 This entry was posted in bandai, Event and tagged Macross Frontier, mecha. Bookmark the permalink. Damn, I want one of those. Aside from this version, wish they would release Ozma Lee VF-25S version, with the armour pack ^^. I like how you switched the OP image to a far more awesome one. Kudos. @shin: lol, i was found out NOOO!!! @lanie-emon: same here. i plan to get Ozma’s and Alto’s version both. Funny, I couldn’t see the original splash image. Can’t say I’m much into the model-building scene though.